Why Zeeland Lumber & Supply? Zeeland Lumber & Supply focuses on Customer Experience. Serving West Michigan, Eastern Michigan, and Northern Indiana, we offer the best in customized solutions. Not only do we supply leading lumber and building material products but we also manufacture roof trusses, floor trusses, and wall panels. Leveraging the latest technology our sales and design teams meet the demands of our fast-paced marketplace. Our teams seek to understand the specific needs of each customer so that we can meet and exceed expectations. We’re proud to partner with the following companies on our digital efforts. We want to make work easy by delivering directly to your project location using our specialized equipment including semi trucks, flatbed trucks, box trucks, skytraks, and moffetts. By working from your blueprints the professionals at Zeeland Lumber & Supply will analyze and value engineer your project to provide you with an accurate estimate. We don’t just offer great products and manufactured solutions, we also offer labor and installation services. If you’re in need of solutions for labor and installation we can help! Located in downtown Zeeland, the experts in our custom woodshop can turn your ideas into reality. If you have a special project in mind but don’t know where to start, turn to us! This Contractor’s Guide is an interactive guide to help you understand how Manufactured Trusses & Panels can improve efficiency and budgets. 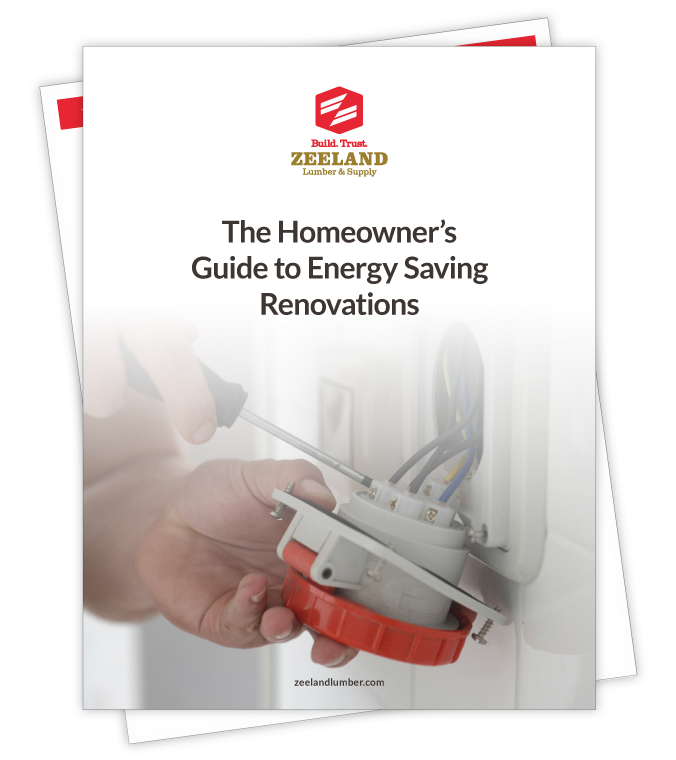 Homeowner’s Guide to Energy Saving Renovations is an interactive guide to help you get started on your renovations while saving energy. The DIYHomeowner’s Guide to Kitchen Remodeling is an interactive guide to help you get started on your renovations while having the knowledge from the experts.